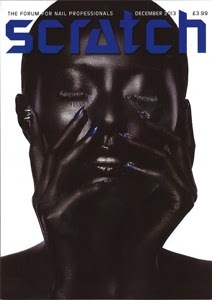 Scratch is the latest addition to the magazine collection at the Infirmary Road Library. A magazine devoted to all things nail related, Scratch bills itself as ‘The Forum for Nail Professionals’. Our first issue (December 2013) has articles on ‘Nailympics London 2013’, ‘Diary of a Hand Model’, and ‘The Classic French L&P Tip and Overlay’ . . . and no, I have no idea what that is! What I do know is that the mag is packed full of photos of the most amazing nails and nail art. To bring things back down to Earth, there are also articles on the business side of nails such as how to boost your business with branding and a look at the WorldPay system of processing card payments. There’s also lots of stuff on industry news and developments. You can find Scratch on the third shelf down in the journals section.